Only now, researchers have uncovered evidence she wasn’t alone. In a new study analysing the complex mess of humanity’s prehistory, scientists have used artificial intelligence (AI) to identify an unknown human ancestor species that modern humans encountered – and shared dalliances with – on the long trek out of Africa millennia ago. “About 80,000 years ago, the so-called Out of Africa occurred, when part of the human population, which already consisted of modern humans, abandoned the African continent and migrated to other continents, giving rise to all the current populations”, explains evolutionary biologist Jaume Bertranpetit from the Universitat Pompeu Fabra in Spain. As modern humans forged this path into the landmass of Eurasia, they forged some other things too – breeding with ancient and extinct hominids from other species. Up until recently, these occasional sexual partners were thought to include Neanderthals and Denisovans, the latter of which were unknown until 2010. But now a third ex from long ago has been isolated in Eurasian DNA, thanks to deep learning algorithms sifting through a complex mass of ancient and modern human genetic code. Using a statistical technique called Bayesian inference, the researchers found evidence of what they call a “third introgression” – a ‘ghost’ archaic population that modern humans interbred with during the African exodus. “This population is either related to the Neanderthal-Denisova clade or diverged early from the Denisova lineage,” the researchers write in their paper, meaning that it’s possible this third population in humanity’s sexual history was possibly a mix themselves of Neanderthals and Denisovans. In a sense, from the vantage point of deep learning, it’s a hypothetical corroboration of sorts of the teenage girl ‘hybrid fossil’ identified last year; although it’s early days, and the research projects themselves aren’t directly linked. “Our theory coincides with the hybrid specimen discovered recently in Denisova, although as yet we cannot rule out other possibilities”, says one of the team, genomicist Mayukh Mondal from the University of Tartu in Estonia. That being said, the discoveries being made in this area of science are coming thick and fast. Last year another team of researchers identified evidence of what they called a “definite third interbreeding event” alongside Denisovans and Neanderthals, and a pair of papers published just a fortnight ago traced the timeline of how those extinct species intersected and interbred in clearer detail than ever before. There’s a lot more research to be done here yet. Applying this kind of AI analysis is a decidedly new technique in the field of human ancestry, and the known fossil evidence we’re dealing with is amazingly scant. But according to the research, what the team has found explains not only a long-forgotten process of introgression – it’s a dalliance that, in its own way, informs part of who we are today. 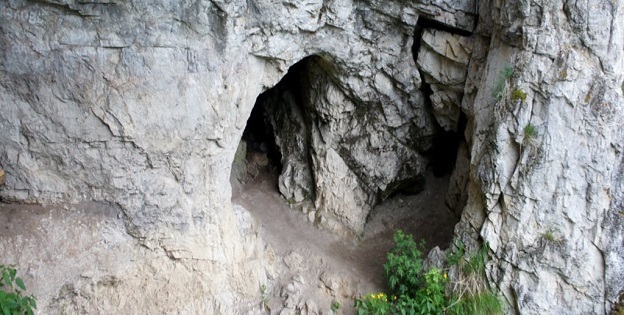 “We thought we’d try to find these places of high divergence in the genome, see which are Neanderthal and which are Denisovan, and then see whether these explain the whole picture,” Bertranpetit told Smithsonian.